We believe the current Church is struggling to navigate a way toward more openness, more inclusion, less judgment, and more love. On Sunday, October 29, 2017 at 7:00 PM Seattle-area composers, Michael Austin Miller and Dr. Stephen Marshall-Ward, and reSound, a Northwest Chamber Ensemble, the Skyros Quartet, Kyle Erickson, Trumpeter, Steve Thoreson, Tenor, and Andrew Marshall, Sound Healer, came together to present a powerful concert around the themes of Reformation, Death, and New Life: “Reformed & Reforming, Celebrating the 500th Anniversary of the Reformation” at Trinity Lutheran Church in Lynnwood, WA. This concert included the world-premiere performance of a new 40-minute work composed by Michael Austin Miller and Dr. Stephen Marshall-Ward: From Death to New Life: A Requiem. You can view the full performance here. 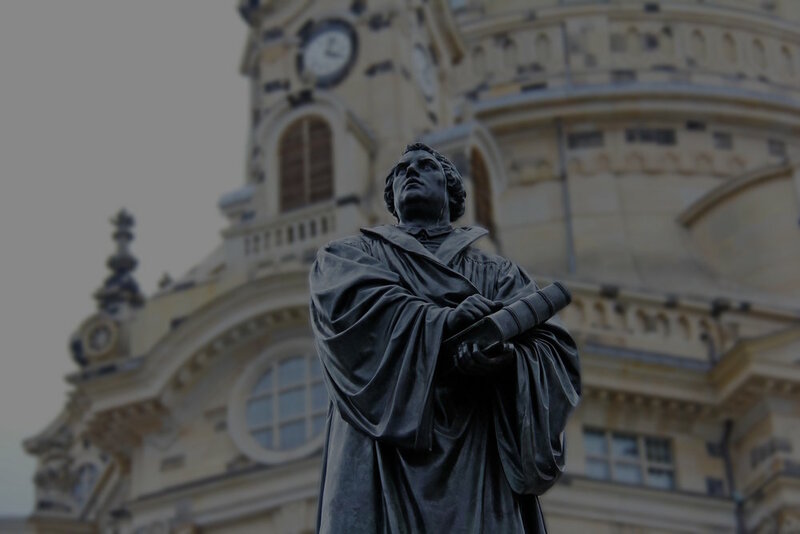 In the same way that Martin Luther listed his indictments against the Pope of his day, this concert (specifically the Requiem) addresses five indictments against the current Church - not a specific congregation or denomination - but the whole of the Christian Church worldwide. A distinctive of this work, however, is that this work does not leave it there, but proposes how God might be showing a better way. A theme embraced in this concert is that when we as humans get it wrong, God is always there to show a better way.